This entry was posted in Uncategorized and tagged 21st century learner, schedules, technology by Claire Hazzard. Bookmark the permalink. Please get out of my head! Actually, thank you for sharing a bit about your scheduling challenges. We have 2 librarians, 3 teaching spaces, and a laptop cart. 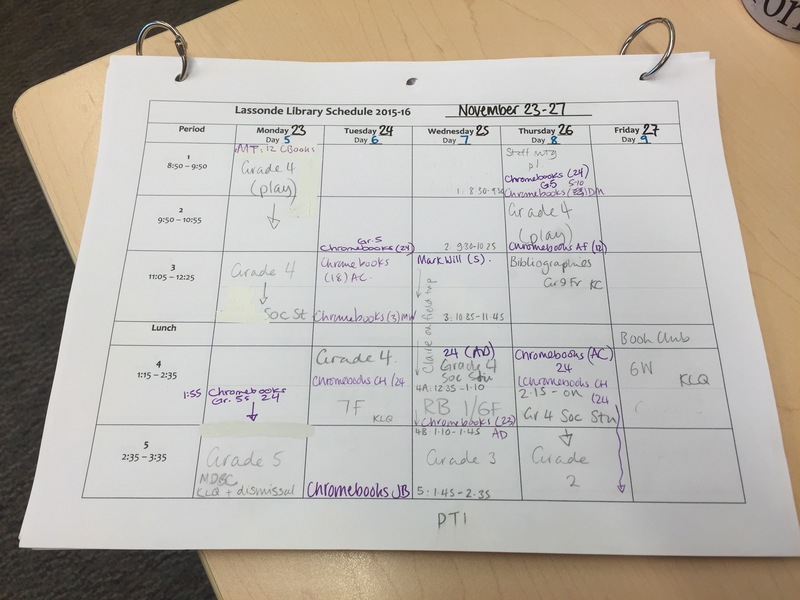 We schedule elementary, middle, and high school classes and all three schools are on different schedules. My colleague has just spent the past hour+ attempting to sort out and address our scheduling conflicts. Something has to change and your post has made me realize that the time to start working on addressing a change (whatever it turns out to be) is now! Please update us on your progress and your results as they emerge! Ha! Will keep you updated. But so much to consider! Thanks for speaking so positively about the Cohort 21 experience. You are absolutely right; the experience is much less about the technology and so much more about collaboration and being responsive to the 21C learner. Claire – great share! I love how you connected anyone who follows you to the other C21 Alumni #actionplans! What a great way to build community and it’s the people around you who will continue to push you to grow and try new things – that’s my C21 difference! Every year my PLN grows and I get inspired to hear about all the great things people are doing at their schools. It’ll be nice that your actionplan will tackle an issue you’re having in your school, I’d love to hear about it. Looking forward to tomorrow!